Warm sunlight and cool shadows play across the white sand beach. You can thank the often overlooked sea oats for the scene. 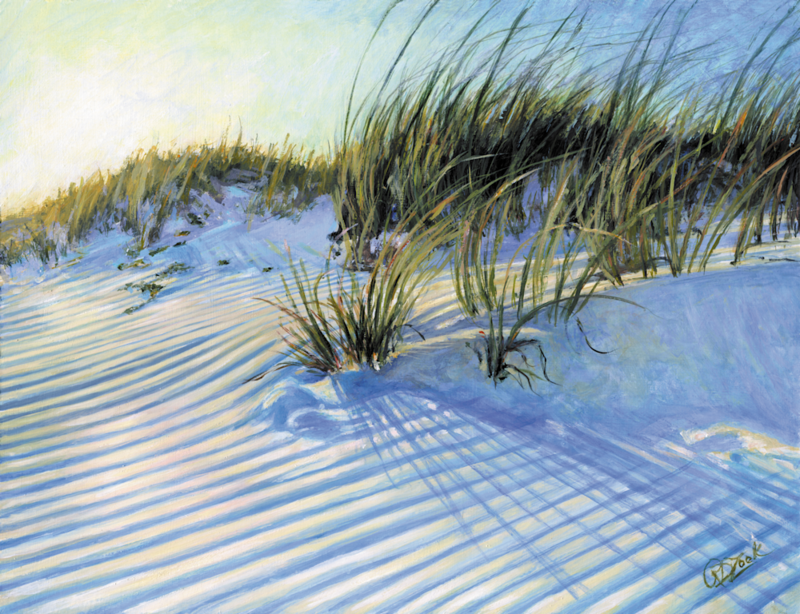 Sea oats are not only pretty, but vital for those who live near the ocean. Endangered in many areas, their leaves trap sand to promote the growth of seaside sand dunes while their root system stabilizes the dunes to keep them from shifting in the wind. The dunes in turn protect the surrounding landscape from high winds, storm surges and tides. For wildlife, sea oats offer food and shelter for insects, birds and smaller animals.